MSTICK is fascinating concept for a portable, battery operated, Bluetooth connected, app-controlled, multi-pixel light wand. The US/Korean based company lists an amazing range of usage concepts for it, from audio visualizer to ambient data (like weather reports) to bike light to visual timer to just a plain old flashlight. It even apparently has an accelerometer for changing animations when biking or for use a an “air display” when waved back and forth – like at a rave. Exquisitely detailed, it looks like something Apple designed, with accessories like various camera mount, leather strap, magnetic mounting, etc. It’s available on Amazon for only $69. Despite how well-executed and beautiful a design, I have a hard time seeing this capture widespread consumer appeal. However, I can’t help but wonder if this represents something more…like the future of architectural light engines. Not necessarily the portability of it, but the concept of a super light bar that simply does whatever you need, like color temperature, saturated color, pixelated effects, perhaps even beam-shaping, via wireless connection. 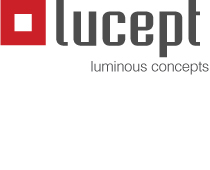 The ultimate light engine for architectural lighting.